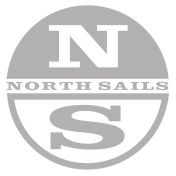 The cross cut MD-40Y Mainsail is an all purpose sail designed with a cross cut construction, this sail is the ideal choice and shows great performance in all conditions. It is manufactured from Dacron. This all purpose jib is based on the successful and proven TD-40Y jib design, the new 'Z' iteration has stiffer patching to help transfer the loads from the clew into the sail as well as a slightly heavier cloth to improve longevity. This sail is made with Dacron cloth. The full radial TA-40Y Spinnaker is our all purpose spinnaker manufactured from a 0.75oz Nylon. The standard colour is white, however a wide range of colours are available.